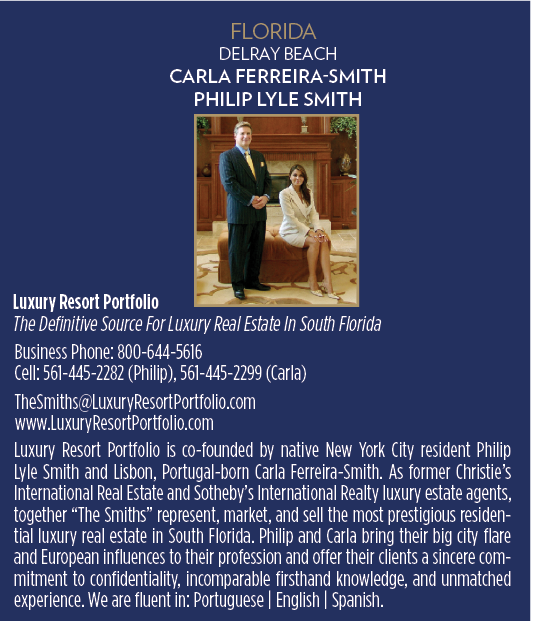 Delray Beach Waterfront Luxury Real Estate Specialists, Philip Lyle Smith and Carla Ferreira-Smith, the co-founders and broker/owner of Luxury Resort Portfolio, licensed South Florida luxury real estate agents in the exclusive Delray Beach Florida homes for sale market, have joined the prestigious Haute Living Real Estate Network. The Haute Living Real Estate Network (HLRN) of Hauteresidence.com is proud to recognize Luxury Resort Portfolio as a prominent ultra-luxury boutique real estate company and the network’s newest partner. HLRN unites a distinguished collective of leading real estate agents and brokers, highlighting the most extravagant properties in leading high-end markets around the globe for affluent buyers, sellers, and real estate enthusiasts. Luxury Resort Portfolio – The Definitive Source For Luxury Real Estate In South Florida¬ is co-founded by native New York City resident and Delray Beach luxury real estate specialist Philip Lyle Smith, and Lisbon, Portugal-born South Florida luxury real estate broker/owner, Carla Ferreira-Smith. 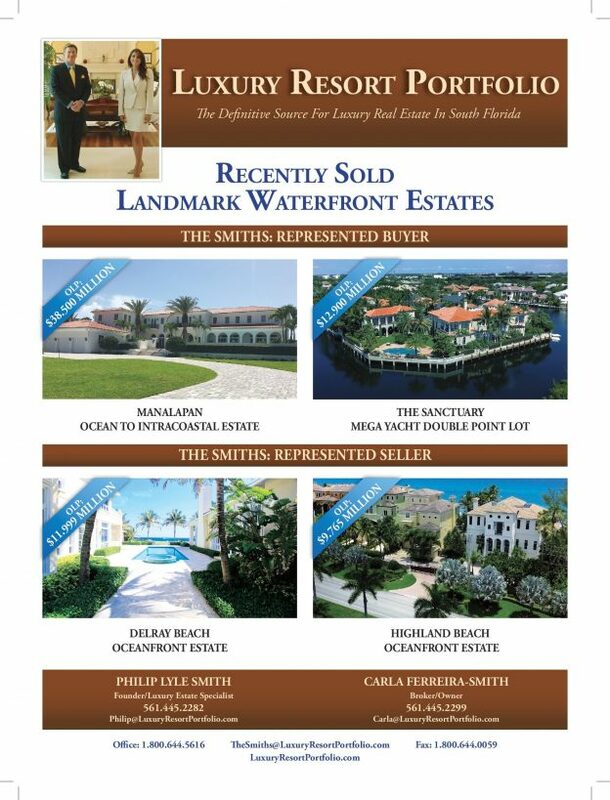 Philip and Carla are collectively known as “The Smiths”, and together, they represent, market, and sell the most prestigious Delray Beach oceanfront estates, Boca Raton waterfront intracoastal mansions, Palm Beach County elite country club homes and South Florida exclusive gated estate enclaves. As former Christie’s International Real Estate and Sotheby’s International Realty luxury estate agents and an authority in Delray Beach luxury real estate for more than a decade, Palm Beach county realtors, The Smiths, specialize in the sale and acquisition of fine properties found along the Gold Coast of South Florida, from Miami to Fort Lauderdale and Boca Raton to the Palm Beaches. Philip and Carla Smith bring their big city flare and European influences to their profession and offer their clients a sincere commitment to confidentiality, incomparable first hand knowledge, and unmatched experience. The Smiths are enthusiastic and profoundly knowledgeable of the exclusive South Florida communities and Palm Beach County neighborhoods they serve, trusted for the advice and guidance they offer, and respected for their exceptional ability to maximize the profit potential of properties they represent. Luxury Resort Portfolio has earned a roster of achievements that include an unparalleled quantity of facilitated transactions for their clients in the posh oceanfront cities of both Delray Beach and Highland Beach; the luxuriously private waterfront intracoastal mega yachting residences within The Sanctuary in Boca Raton; and the prime waterfront land opportunities on the Hillsboro Mile along Hillsboro Beach. 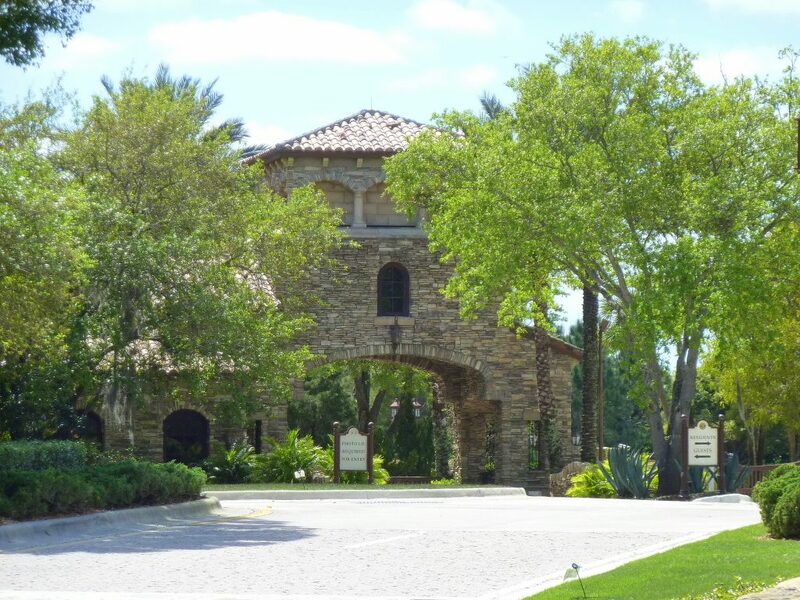 As Delray Beach country club residents, Philip and Carla have successfully brokered numerous transactions for buyers and sellers alike in the elite Delray Beach country club homes of Mizner Country Club and Addison Reserve, as well as within the exclusive gated estate enclave communities of Long Lake Estates, Stone Creek Ranch, and The Oaks at Boca Raton. Over the years, Luxury Resort Portfolio has represented and offered its luxury real estate expertise to its esteemed clientele on numerous magnificent Palm Beach Island oceanfront mansions, the ocean to intracoastal waterfront real estate of Manalapan, and beach side residences of Gulf Stream. As top-caliber Palm Beach County luxury real estate agents reflective of the quality and expertise that they provide to their valued clientele, Philip and Carla Smith have emerged not only as outstanding South Florida real estate sales professionals, but also as a dynamic force in the high-end Delray Beach luxury homes for sale market. The Smiths recognize that extraordinary results are garnered through dedication, a hard work ethic, in-depth market and community knowledge, effective negotiation techniques, and a boundless determination to complete each transaction successfully. If you are interested in previewing any of the prominent South Florida luxury real estate comprising their unprecedented Palm Beach County Luxury Resort Portfolio, receive additional information for any listed property in South Florida, or gain maximum Global Marketing Exposure for your residence, culminating in the sale of your home, The Smiths welcome the opportunity to be of service to you. Haute Living Real Estate Network (HLRN) of Hauteresidence.com offers readers the most prominent directory of experienced realtors, brokers and luxury listings, and HLRN has grown to be the number one source for real estate news, residential developments, celebrity real estate news and more. Seeking an experienced interior designer? Hauteresidence.com is also home to Haute Design Network (HDN), a collective of celebrated interior designers that will help you decorate your new home or stage an active listing. If you are interested in previewing any of the prominent South Florida luxury estates listed by Luxury Resort Portfolio, receive additional information for any listed property in South Florida or gain maximum Global Marketing Exposure for your residence, culminating in the sale of your home, The Smiths would welcome the opportunity to be of service to you. This entry was posted in Luxury Resort Portfolio Lifestyle Guide - The Art Of Living Well, Uncategorized and tagged Boca Raton Waterfront Real Estate, Delray Beach Luxury Oceanfront Real Estate, Luxury Resort Portfolio, Manalapan Ocean to Intracoastal Homes For Sale, Palm Beach Mansions, South Florida Mega-Yacht and Boating Gated Estates Communities, The Definitive Source For Luxury Real Estate In South Florida on June 23, 2015 by Luxury Resort Portfolio. LUXURY RESORT PORTFOLIO, The Definitive Source For Luxury Real Estate In South Florida is proud to announce its’ April 2015 portfolio of Sold Delray Beach Oceanfront and Boca Raton Waterfront Luxury Real Estate Listings totaling an astounding original list price of more than $24 million in Closed Transactions. As Transaction Brokers representing both Buyers and Sellers of the finest residential property in South Florida Waterfront Real Estate Sales, Luxury Resort Portfolio’s Broker/Owner Carla Ferreira-Smith and Co-Founder Philip Lyle Smith (collectively known as “The Smiths”), are committed to remaining one of South Florida’s last true boutique luxury real estate firms and prides itself on its’ devotion to personalized service. With the integrity and veracity their clients have come to expect and deserve, Luxury Resort Portfolio’s dedicated and extremely knowledgeable South Florida waterfront luxury real estate agents have the ability to close transactions and exceed their clients’ expectations. Devoted and committed to their customers’ confidentiality, the Firm provides their trusted advice and are appreciated for their family values with a great deal of respect for home and community. 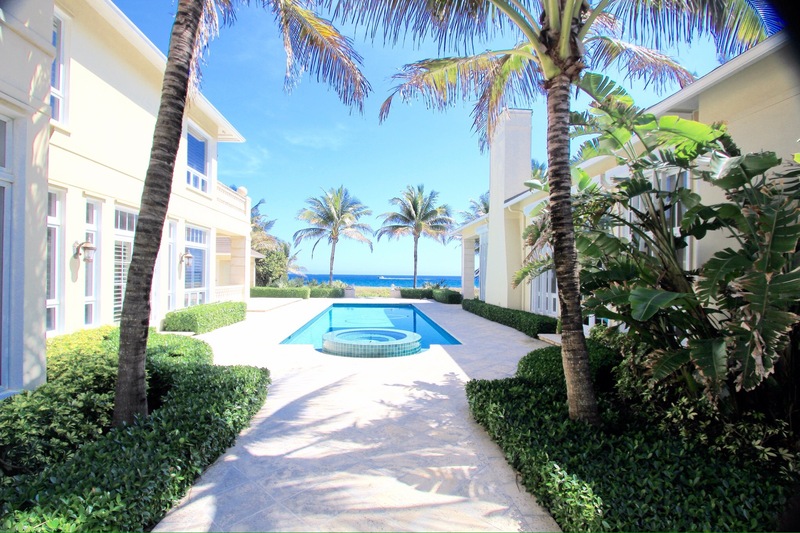 First on the residential property agenda was an exclusively private and gate guarded six bedroom / nine bath Delray Beach Oceanfront Mansion boasting over 12,000 square feet with an acre of breathtaking Atlantic Ocean vistas taken to infinity. “A Serene Oasis”, as described by Luxury Resort Portfolio’s Co-Listing Agents and Delray Beach Luxury Real Estate Specialists, The Smiths, was an entertainer’s paradise that rivaled any first class vacation retreat and was marketed by The Smiths for less than sixty days before they were able to facilitate a Buyer. This beach side estate, with its’ asking price just shy of $12 million was located along the ultra-swank South Ocean Boulevard; less than a mile south of Downtown Delray Beaches famed Atlantic Avenue (named the “Most Fun Small Town in America” according to USA Today’s Second Annual Best of the Road Competition and Rand McNally), where the elite meet the hip and chic to gather, dine and shop. Boasting dazzling aqua-blue ocean views, this magnificent South Florida Waterfront Estate was nestled along one of the most celebrated beach fronts in all of Southern Palm Beach County. A property so special that the fortunate buyers who now call this magisterial residence home will enjoy the al fresco South Florida lifestyle and an unequaled sensation of opulence for years to come. 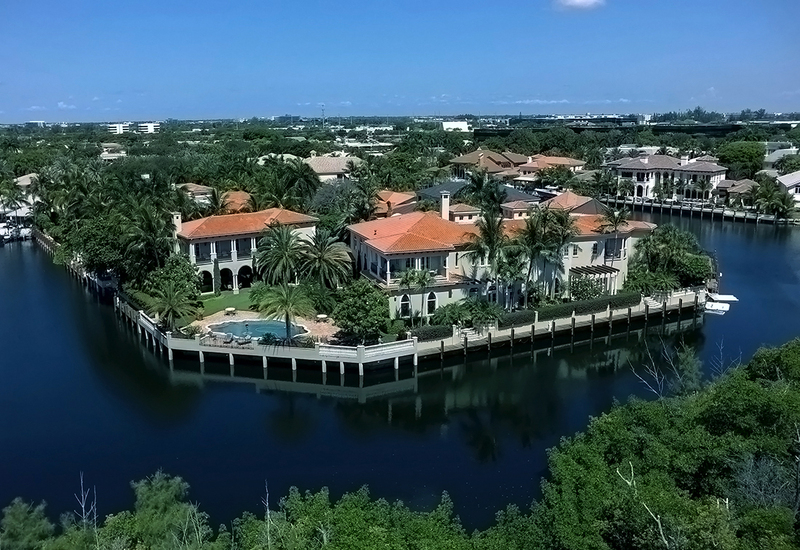 April 2015, once again, proved to be an extremely busy time on the calendar for Luxury Resort Portfolio, as for the second time this month, Boca Raton waterfront luxury real estate specialists, The Smiths, successfully brokered and facilitated a closed transaction for an amazing double point lot estate situated within one of the most prestigious exclusive gated estate enclaves in South Florida, The Sanctuary. 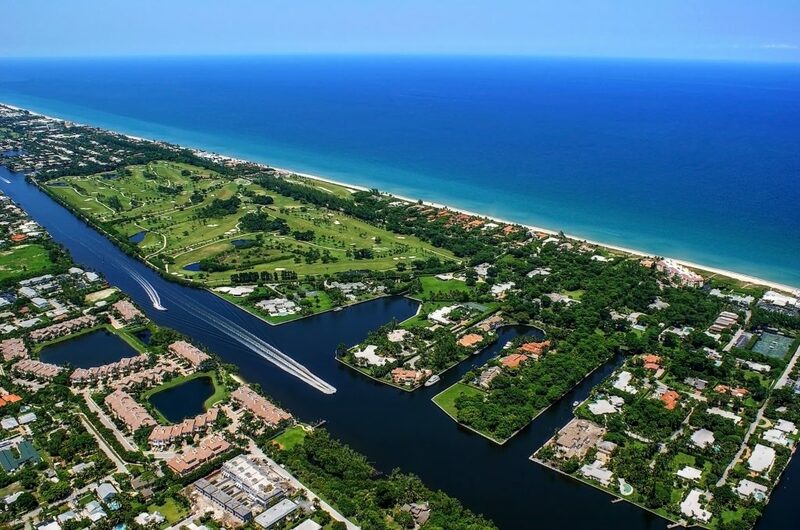 The uber-luxurious yachting community of The Sanctuary at Boca Raton is an internationally acclaimed waterfront neighborhood named by Forbes Magazine as one of “The Ten Most Expensive Gated Communities In America”. 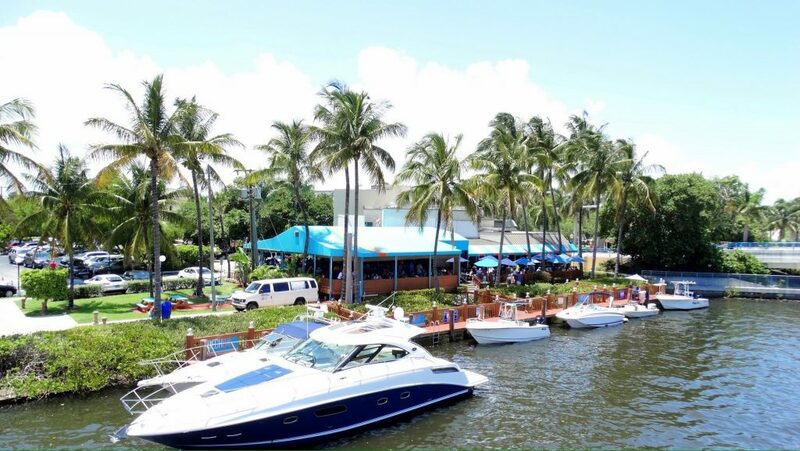 The Sanctuary has also been the feature of numerous Sun Sentinel newspaper articles including “The Lifestyles Of Boca Raton’s Rich And Famous”. 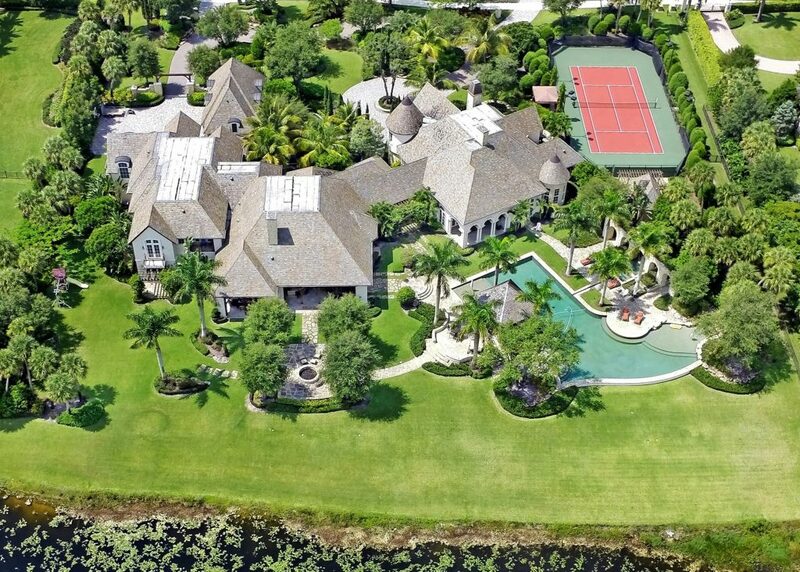 A Tuscan inspired waterfront palazzo in the posh Boca Raton, Florida zip code of 33431 proves to be a cornucopia of sensory delights with a commanding Intracoastal Waterway view that boasts over 350 feet of deep water dockage. Located on Sanctuary Drive, this Palm Beach County Florida mansion is impeccably custom appointed with enough luxuriously hand-crafted artisan finishes and details to seduce even the most discerning of high net worth home buyers. SOLD ! 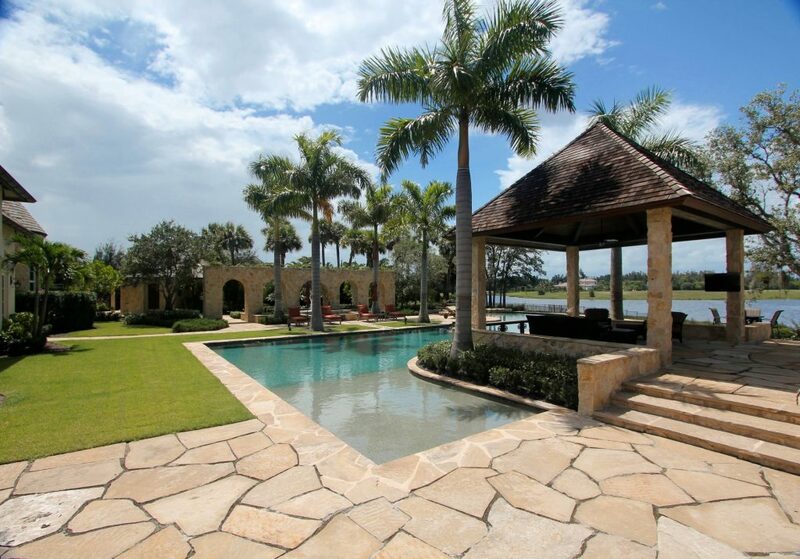 Boca Raton Waterfront Real Estate. 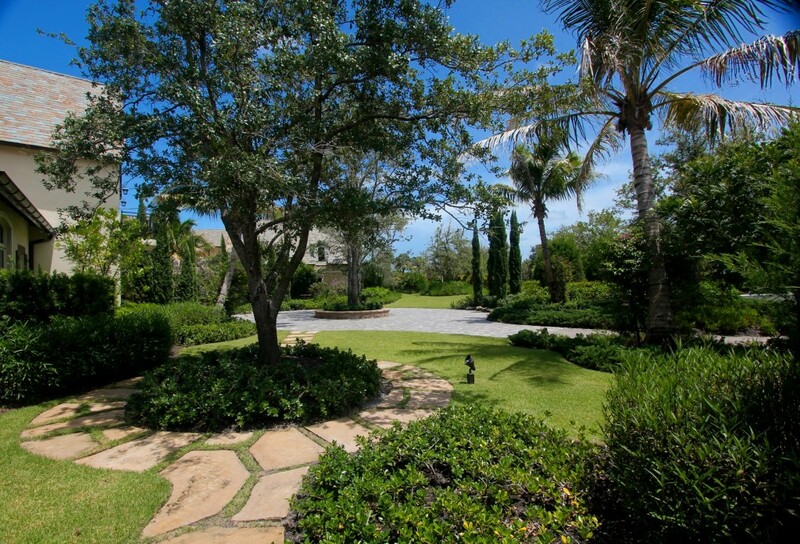 799 Sanctuary Drive, Boca Raton Florida 33431. $12,900,000.00. The South Florida double waterfront point lot residence on the cul-de-sac tip of Sanctuary Drive presents itself with an astounding 19,000 total square feet claiming eight bedrooms and twelve baths and features a resort inspired pool / entertaining area, a two level 5,000 square foot Guest House replete with outdoor loggia, full chefs / catering kitchen, wet bar and bocce ball court. Twin concrete docks overlooking a private sanctuary provides the lucky homeowners of this astonishing custom commissioned estate by Dan Swanson of Addison Development with an idealistic haven of supreme privacy. 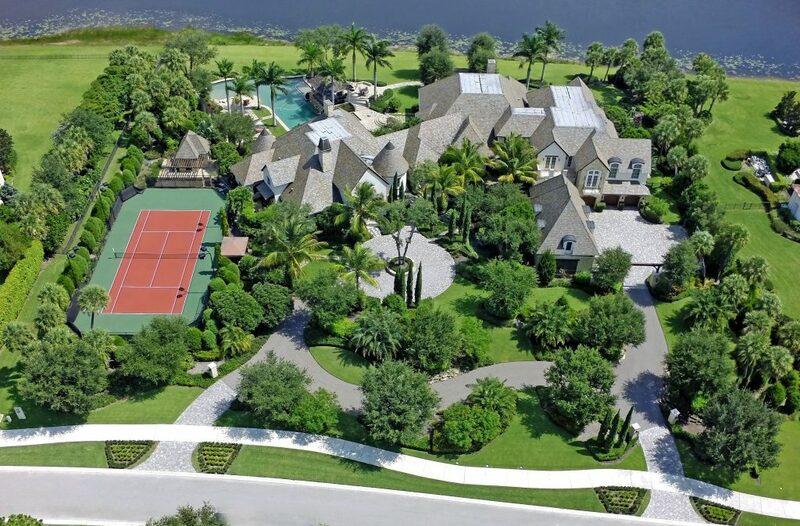 A boaters’ paradise “designed to impress” according to The Smiths, who represented the Buyer this time, had an original list price of $12.9 million. This entry was posted in Luxury Resort Portfolio Lifestyle Guide - The Art Of Living Well, Uncategorized and tagged Boca Raton Waterfront Mega Yacht Real Estate, Delray Beach Oceanfront Mansions, Luxury Resort Portfolio, Luxury Resort Portfolio's April 2015 Ultra-Exclusive $25 Million Real Estate Transactions, South Florida Waterfront Real Estate Sales, The Definitive Source For Luxury Real Estate In South Florida on May 11, 2015 by Luxury Resort Portfolio.